A new mobile payment system will use a fitness tracker-like band and breathalyser to help people from overspending when they're drunk. Connecting the devices to a user's credit and debit cards through an app, DrnkPay is able to keep tabs on how much they've drunk and limit further purchases if they've had too much. The system has been developed by iBe TSE, a financial services consultancy, which took the decision after research conducted by OnePoll revealed that half of UK alcohol drinkers aged 18-34 have regretted a purchase made when drunk. "This is a problem many of us have encountered, so we decided to create a simple solution which uses the latest technology," Francesco Scarnera, CEO of iBe TSE, said. "Once you've hit your self-imposed limit, the app will lock your card and prevent you making further payments. It's up to you whether to block all payments, or just certain 'weak points', such as takeaways, clubs, or that flight that seems like such a great idea at 4am." Of course, using a breathalyser to calculate how much somebody's had to drink isn't anything new, but carrying one around whenever you drink isn't for everyone. 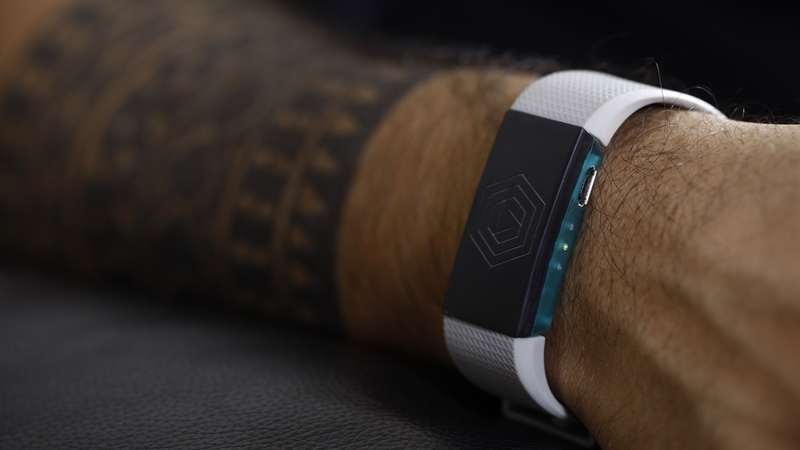 That's what makes the use of the wearable — the Quantac Tally — an interesting one, with the device able to analyse alcohol content in the user's bloodstream before syncing over to the app. iBe TSE is currently in discussions with banks and card providers about rolling the technology out to their customers within the next 12 months, while we imagine the Quantac Tally will be sold independently to work with the app. It's unlikely that too many people are out there looking for something to keep this close an eye on their drinking and spending simultaneously. Still it's an interesting riff on the quantified self and this would appear to be a solid way of getting the job done in a discreet way.